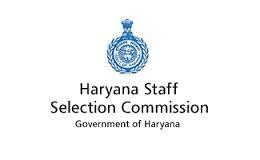 HSSC Jobs Recruitment Notification 2018.Haryana Staff Selection Commission, HSSC inviting applications for the positions of Group-D vacancies.Interested and Eligible candidates can apply for the positions. Total number of vacancies to be filled in HSSC is 18, 218. Category wise vacancy details are given below. Minimum qualification for applicants to apply if matriculation/ 10th standard. Lower age limit for applicants is 18 years, Upper age limit for applicants is 42 years. Selected candidates for Group-A posts will get pay in between Rs.16,900-53,500/- and grade pay. Based on candidates performance in written test, experience they will be recruited. Through online mode from 29th August 2018 to 18th September 2018 candidates can apply for HSSC recruitment. http://hssc.gov.in/index.htm is the link for applicants to apply directly.